Despite publicly opposing Michael Dell's bid to take the computer company he founded private, mutual fund giant T. Rowe Price supported the transaction in the voting booth, according to an analysis of the mutual fund giant's voting records by USA TODAY. T. Rowe's regulatory filings show that the money manager, which is opposing the Dell deal in Delaware court, voted "for" the 2013 buyout across its funds, including the Equity Income Fund, which owned 16.5 million Dell shares, the Science & Technology Fund, which owned seven million shares, the Balanced Fund and the Equity Index 500 Fund. T. Rowe Price's support for the $25 billion transaction contradicts statements it made leading up to the controversial deal, and afterward in Delaware court, where it has been seeking more than the $13.75 a share paid to stock owners, in cash. "We are aware of a discrepancy in the communication of our voting instruction on the Dell buyout," the mutual fund company said in a statement. "T. Rowe Price has always opposed the Dell buyout and has made that opposition well known. We view the discrepancy as irrelevant for purposes of our ability to pursue appraisal," T. Rowe said, referring to its efforts to obtain more through legal channels. "Our goal remains to secure fair value from this deal for our clients." Dell officials declined to say when the company discovered the discrepancy, but mutual funds are required to release their voting records in bulk once a year. Experts say the "for" vote could upend T. Rowe's case for more money. Under Delaware law, shareholders may ask a judge to place a value on corporate transactions they deem unfair. But to do this, they cannot also vote "for" the transaction, said Lawrence Rolnick, a securities lawyer with Lowenstein Sandler. "You give up your right to complain when you vote 'for' the transaction," Rolnick said. John Latham, Dell's lawyer in the Delaware Chancery Court case, declined to comment. The next hearing is scheduled for May 11. Dell's initial offer to pay $13.65 a share was met with objections from a who's who of Wall Street heavyweights, including billionaire Carl Icahn, Pzena Investment Management and Southeastern Asset Management Inc., which was Dell's largest outside shareholder with an 8.4% stake. T. Rowe Price joined the chorus as Dell's third largest shareholder with a 4.4% stake. "We do not intend to support the offer as put forward," T. Rowe chairman and chief investment officer, Brian Rogers, said in February 2013. After a sweetened deal was approved, T. Rowe joined a group of investors holding 47.5 million shares who demanded a judge take a second look. 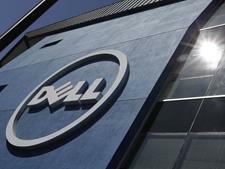 T. Rowe was the largest shareholder to reserve its rights to a court appraisal, with more than 30 million Dell shares. T. Rowe Price's lawyer, Stuart Grant, cited case law allowing shareholders seeking court appraisal to rely on the votes of the entity that processed the stock on behalf of shareholders, or Cede & Co., a unit of Depository Trust Company. "I think the case law is rock solid and the only thing that counts is how the record holder votes its shared," Grant said in an interview. "To me it is cut-and-dried that all of the stock holders who sought appraisal will be entitled to appraisal." But some experts say this option is not available for shareholders who voted "for" a transaction, even if they did so by mistake. "That case was about what do you do if there's no evidence for how they voted. That's different," said Lawrence Hamermesh, professor of corporate and business law at Widener University.